Xiaomi of China has announced today local manufacturing of Printed Circuit Board Assembly (PCBA) in India, along with three new smartphone plants. This is a significant move in Xiaomi’s localization strategy as the company’s first SMT (Surface Mount Technology) plant is dedicated towards local manufacturing of PCBA (Printed Circuit Board Assembly) units in Sriperumbudur, Tamil Nadu, in partnership with Foxconn. Xiaomi is one of the pioneers in the country to start local assembly of PCBAs. PCBA is one of the most important components of the smartphone, and contributes to nearly 50% of the value of the phone. Xiaomi expects to ramp up its PCBA production to close to 100% of its locally produced phones within Q3 CY 2018. 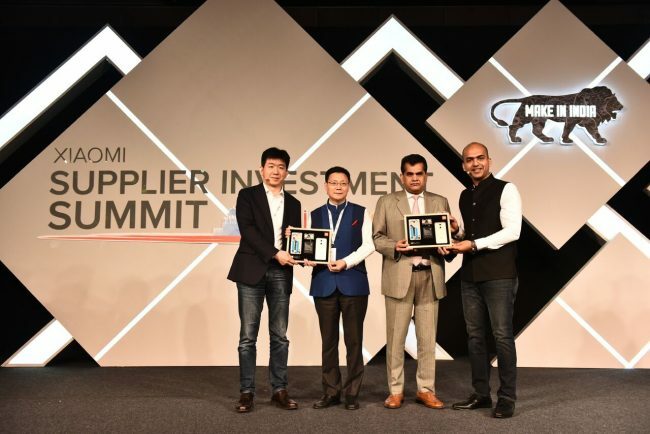 This announcement was made at Xiaomi’s first ever Supplier Investment Summit in India today where the company is hosting over 50 global smartphone component suppliers to educate them about the Indian manufacturing ecosystem, with the aim of helping them to set up local manufacturing units in India. If all the suppliers set base in India, this would lead to one of the biggest ever single investment in the electronic manufacturing industry, creating a big pool of jobs. It would potentially bring in an added investment of over 15,000 crore rupees ($2.5 billion) and create as many as 50,000 job opportunities in India as stated by the company in its press statement. The flag off ceremony of the summit today was attended by several dignitaries such as Sh. Amitabh Kant (CEO, Niti Aayog), Sh. Ramesh Abhishek (Secretary of DIPP) and Sh. Deepak Bagla (CEO, Invest India). Xiaomi had announced in 2015 that it was going to manufacture its devices locally in India, in a show of commitment to Honourable Prime Minister Shri Narendra Modi’s ‘Make in India’ initiative. Its first smartphone plant was built in partnership with Foxconn in 2015, followed by its second plant in March 2017, and its first powerbank plant (in partnership with Hipad Technologies) in November 2017. To date, over 95% of Xiaomi smartphones sold in India are made in India as confirmed by Xiaomi.